Published on April 3, 2019 in Daily Dirt and National. 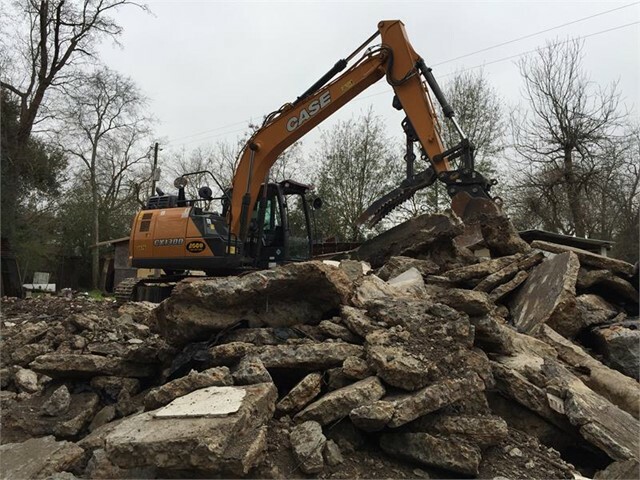 Closed Tags: ASCO, Case, CASE CX130D excavator, Case Dealer, CASE TR310 compact track loader, construction, construction industry, contractors, emergency response, Hurricane Harvey, SBP, Team RUBICON. CASE Construction Equipment dealer ASCO, Lubbock, Texas recently provided a TR310 compact track loader and CX130D excavator to disaster recovery nonprofits Team Rubicon and project leader SBP. The equipment was used for demolition work before SBP could rebuild a Houston home that first was burnt to the ground then flooded during Hurricane Harvey.